There’s a big controversy developing west of the new mural at the site of the former Oakland Army Base. It’s a plan to develop the waterfront, in part, as a port where coal from Utah can be shipped overseas. 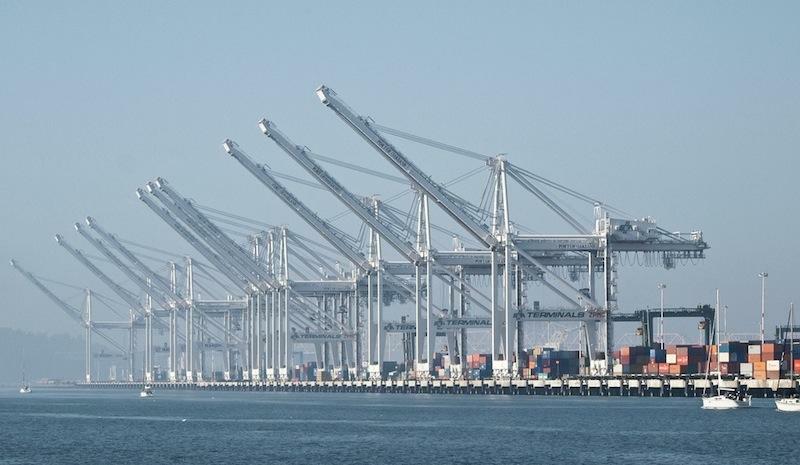 The project, called “Oakland Global,” is being developed by longtime Oakland businessman and sometime political appointee, Phil Tagami, along with a company called Terminal Logistics Solutions. Exporting coal could generate nearly three million dollars in annual property taxes and thousands of jobs, according to Tagami. And there is a huge potential market: over 40 percent of the world’s electricity is generated by coal. Reporter Darwin BondGraham has been covering this story for the East Bay Express. A lot of lawyers are definitely swarming around Oakland right now and looking closely at this issue because there is really billions of dollars at stake in the long term.